Now off you go to visit other Outdoor Wednesday posts via A Southern Dreamer and more A to Z Challenges via tossing it out ... see you tomorrow with the letter "G" in Paris... à demain! 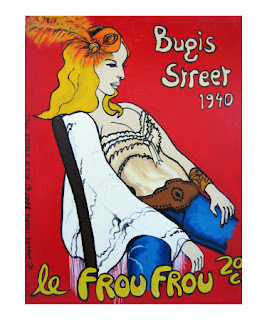 Your painting is a great rendition of frou frou. I love it!! Fifi, Love the Frou Frou paintings, great colors. Oh, love the third one down. Looks like art work for an old Disney movie. And, your painting is fantastic. You really do capture the fun...each and every time. All I can say this is brilliant. It makes one feel one is in Paris. The Lipp painting is without question...my favorite of all. Perhaps someday soon our families will see it in person together. Love the posters and your painting is FABULOUS! Fun post. Cant wait for tomorrows. 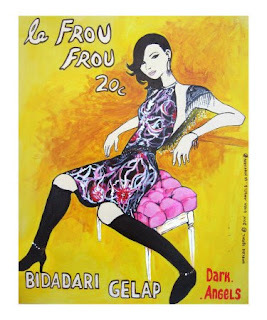 thank you for the Faire Frou Frou mention!!! 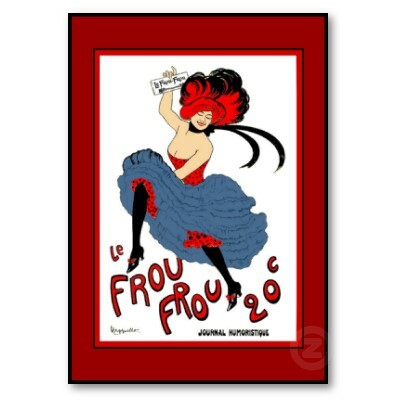 i knew there might be a frou frou tidbit, but that was extremely sweet of you!! the first image you posted is one that i have framed in my room...it may have inspired the name of our store. i LOVE your Lipp painting...plus that picture you based it on is too cute. 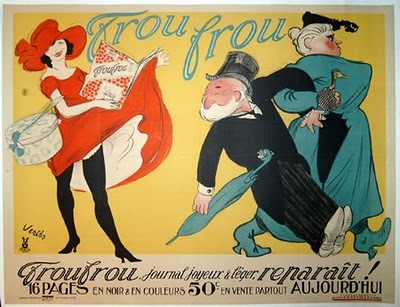 I love the frou frou posters! Your LIPP painting is fabulous! 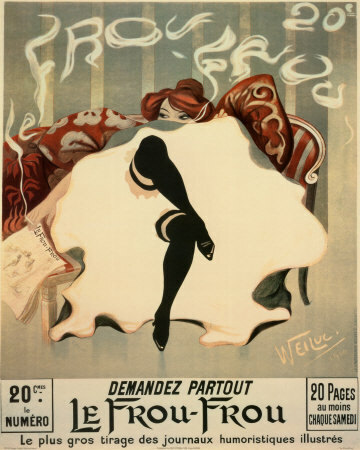 F is for fun posters and a fantastic painting! !